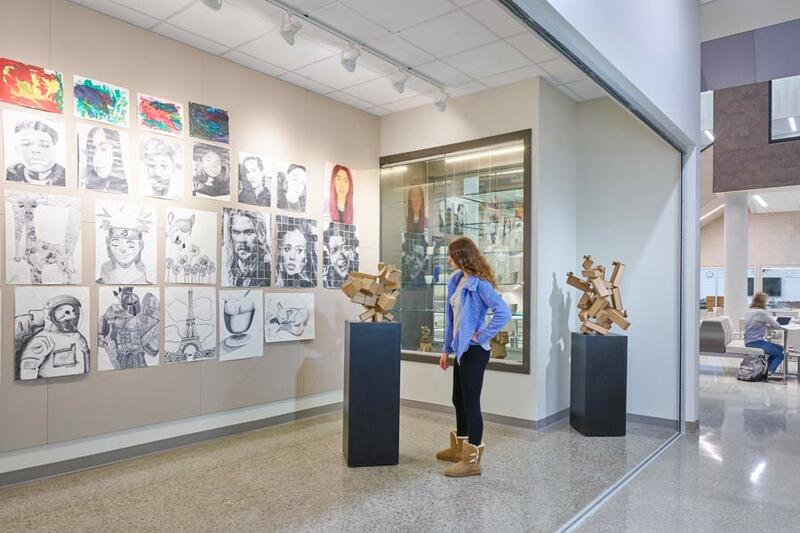 The Olathe Unified School District didn’t just want any new high school to meet the needs of its growing student population. 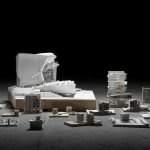 It wanted a school that incorporated advances in curriculum, created a campus community feel and, ultimately, put learning on display. 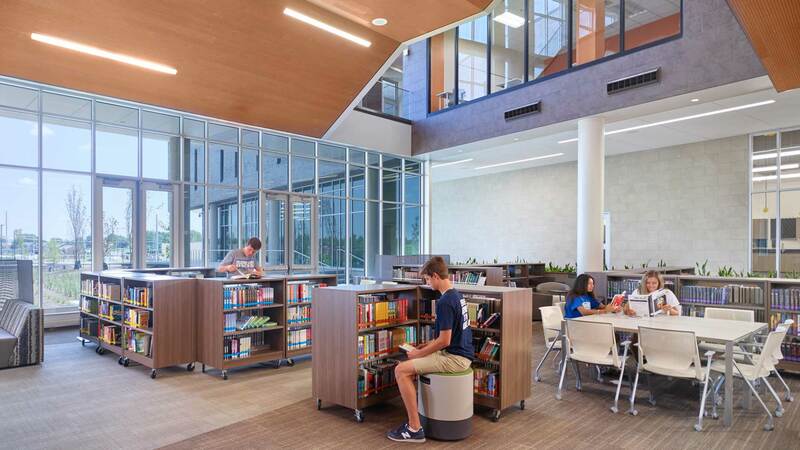 From the moment students walk in the door they are immediately seeing spaces that are used for learning and teaching, including the media center and 21st century learning Green Technology and Public Safety learning programs. 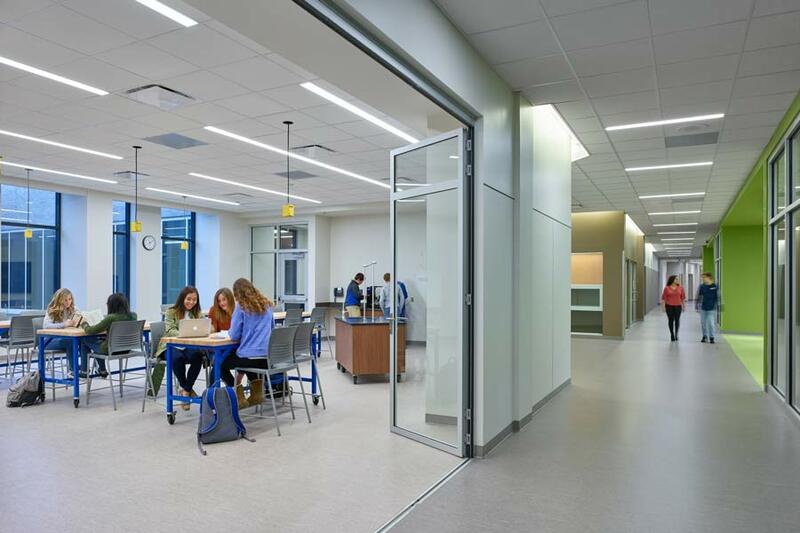 Collaborative learning was on the forefront of the design, as each grade level has its own academic neighborhood, with a variety of learning environments including active labs and blended learning environments. No teacher owns his or her classroom, creating a more collegiate feel where there’s flexibility to promote project-based learning. These neighborhoods are connected by two learning stairs. Olathe West is driven by technology. Every classroom has the same setup, which includes a flat screen television and arrival and departure boards hang at each entrance. Each student is also given a MacBook. 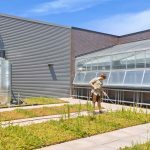 Additional facilities include green roofs with water collection and a rooftop greenhouse, learning commons with an open media center concept, a black box theater, maker spaces and large and small group instruction spaces.